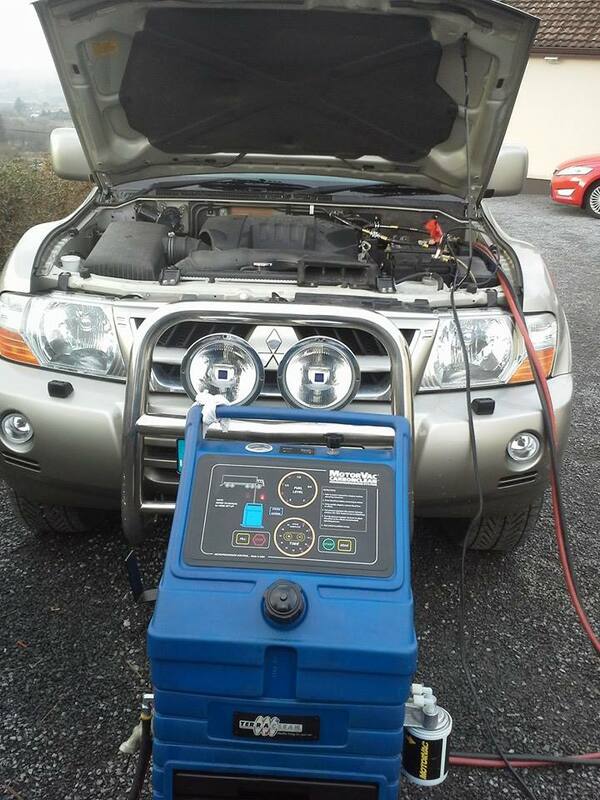 TerraClean is a patented technology which cleans the inside of your vehicle’s fuel system. By removing carbon we can improve engine performance, reduce emissions, and reduce costs by increasing component lifespan. Delivered as a carbon cleaning service through a network of 500+ UK & Ireland dealers. 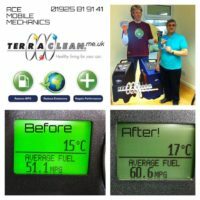 TerraClean dealers are trained professionals who understand and implement engine diagnostics to identify and resolve carbon-related problems. The TerraClean range of tools and equipment enables TerraClean dealers to clean injectors, combustion chambers, EGR Valves, Diesel Particulate Filters (DPFs) as well as sensors to help achieve optimum engine efficiency. Do not consider hydrogen-based technology or basic carbon cleaning alternatives – insist upon TerraClean every time. Aliphatic fuel has a very loose molecular structure meaning that it burns very easily and almost completely combusts leaving little or no carbon deposits behind in the combustion chambers but it creates very little power, this is why it’s blended with aromatic fuel which is very powerful, this is where the problem starts. Aromatic fuel has a very tight molecular structure making it very difficult to burn and it relies on the aliphatic fuel to start the combustion process, because of the tight molecular bond of the aromatics they never completely combust and leave behind carbon deposits which form in the combustion chambers, exhaust ports, cats and lambda sensors this eventually has a negative effect on engine efficiency as the fuel is now burning in a dirty environment (combustion chambers) and restricting the performance of cats and lambda sensors. That’s not where it ends as over time inlet valves and ports on manifold injection engines, fuel injectors on all engines and fuel pressure regulators (if fitted) suffer from a build-up of tars, gums and varnishes, this slows down the injector reaction times causing fuel timing problems, it impairs fuel atomisation causing incomplete combustion which can reduce fuel rail pressure, and in some cases can coat the inlet valves causing cold start misfires.